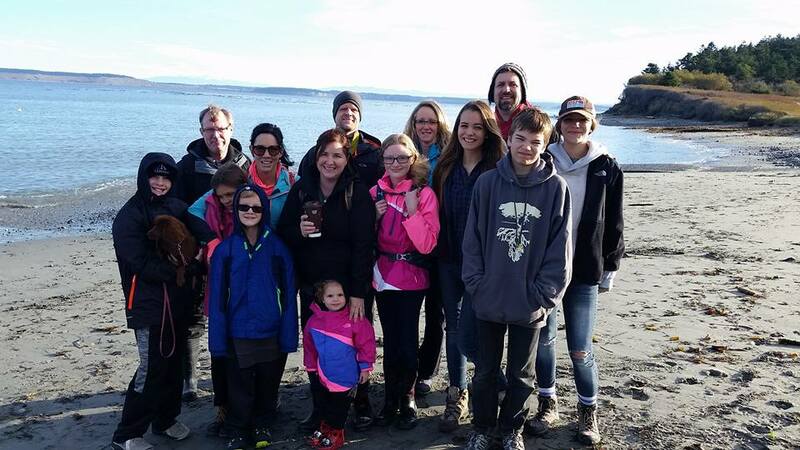 Private Guided Beach Combing Hikes- Hire Tim Blair to lead your group! Tim and an assistant will guide your group for an exclusive hike out to one our selected beaches to hunt for agates, fossils or sea glass. Each full day hike will cost an average fee of $150.00 per group or up to $200.00 if out on the Washington coast. The travel distance required for the guide determines the required fee. The fee will cover the entire group regardless of size. Contact Tim on this web site to discuss with him your travel plans, beach location and optional dates. He will also consult tide schedules to determine if your proposed date will work with the anticipated tides. Once you have secured an approved date and beach location with Tim your payment will secure your hike reservation. Clicking on the pay button below acknowledges your agreement with the following statement. "I will not hold pnwbeachcombing or Tim Blair liable for any loss of personal items, damages or personal injuries while participating in a guided beach hike. I am personally responsible for my own transportation, parking fees, equipment, food items, water and proper gear." Fees for a guided hike are refundable if the hiker cancels at least 48 hours before the scheduled hike. All fees are non-refundable if the hiker cancels within the 48 hour pre-hike period. To schedule a hike please click the contact page at the top and send me a message with your name, beach of interest and preferred dates. I will respond within 3 business days with the day(s) that works for me, quote for the trip, directions and recommended items to bring. Glass Beach, Port Townsend - Sunday. July 30th, 2017 - Tim will lead a group of hikers out to Glass Beach. We will meet at the North Beach parking lot in Port Townsend at 9:00-9:15am. See the directions to North Beach in Port Townsend posted in the field report about Glass Beach. You could also just type into your maps app "Kuhn St., Port Townsend." Follow Kuhn St. north till it dead ends into the North Beach parking lot. We'll hike 3 miles to the west out to McCurdy Point and the Glass Beach area beyond. We'll return in the afternoon as each desires. The tide will be high around 11:30am at about 5.3 feet which will be very easy for all hikers. The beach will not be covered at high tide which will allow for good sea glass hunting and walking on the beach. Bring: rubber boots (if desired), lunch, 2+ water bottles, comfortable clothing (a high of low 70s) and a hand sized garden rake. Contact: Send me an e-mail if you want to join us! A group of sea glass hunters ready to go from the North Beach area!